HOMEBOX, leading self storage company in France, founding member of the Chambre Interprofessionnelle du Self-Stockage (French Self-Storage Association), strives on a daily basis to offer the best possible quality of service to its customers. Businesses must be able to have complete confidence in the services they choose. 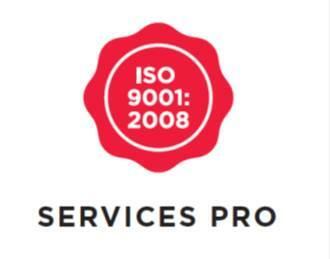 HOMEBOX is the only stakeholder in the sector to be ISO 9001 (2008 version) certified for its service dedicated to businesses. HOMEBOX guarantees traceability of receipt and the dispatch of goods, which are dealt with whether customers are present or not, and disposes of and sorts waste. HOMEBOX is a founding member of the Chambre Interprofessionnelle du Self-Stockage (French Self-Storage Association), an organization that brings together the leading self-storage chains in France and sees that the European Standard for Self-Storage is followed, to ensure that the definition of ethical principles and quality of service for the business is upheld.